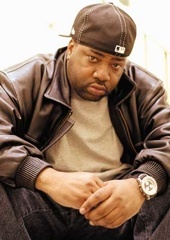 Lord Finesse is a Hip hop artist and producer, hailing from The Bronx, New York, best known as the leader of the D.I.T.C. rap crew. In 1989, Finesse and his former partner DJ Mike Smooth signed to Wild Pitch Records, home to other popular Hip Hop artists like Gang Starr, Main Source, Chill Rob G, Percee P, and O.C.. In 1990, the duo released their debut album Funky Technician. The album featured production from future star beat-makers DJ Premier, Diamond D and Showbiz. Soon after, Finesse became the leader of the popular New York underground crew D.I.T.C., an acronym for 'Diggin In The Crates'. Future members included Showbiz and A.G., Diamond D, Fat Joe, O.C., Buckwild and the late Big L.